At our company, trust is a major goal of each of our staff members. We work hard to ensure that you never feel uncomfortable with any of your services. Throughout the years, we have received more than 2,000 online reviews, with a 4.9+ average. Our team of licensed plumbers continues to undergo education to ensure that we always offer the top services for our clients. At Armbrust Plumbing and Heating Solutions, we are committed to delivering the leading standard of service to clients located throughout Carol Stream, Illinois. Since 1918, we have had the pleasure of assisting countless members of our community. From leaky faucets to damaged generators, we proudly take care of any issue facing your location. Turn to our company today to learn why thousands of your neighbors trust us. Take care of every leak and clog with the professional services from Armbrust Plumbing and Heating Solutions. Based in Carol Stream, our Illinois plumbing and heating company proudly offers services and solutions for residential and commercial clients throughout the region. Whether you are dealing with a broken air conditioner or a clogged garbage disposal, you can count on our honest team to take care of your needs. Turn to our HVAC company today to request an estimate and learn how our work will keep your home or business running. With all of the plumbing and HVAC companies on the market today, how can you be sure that you are receiving the top service for your money? No matter what your plumbing issue is, our team of plumbing professionals in Carol Stream has the knowledge and expertise you need to get the job done right. No matter how large or small your project is, our Carol Stream plumber is available to take care of the issue. We focus on the details of your job to ensure that you never have to call us in for an avoidable repair in the future. You could tell that he is an excellent plumber...and he has great people skills too. We are seniors and we have hired dozens of people to perform various installations and repairs over the years and this repair was the best and "easiest" of them all. We highly recommend Armbrust and especially Tom. Thank you! I have been an Armbrust customer for almost 30 years and they never disappoint and Jeff B. is no exception. Jeff has been to my house two times recently and he is always prompt and professional. I especially appreciate how knowledgeable he is not only as a technician but also in explaining to me how to take advantage of the Armbrust annual maintenance program. Armbrust is always my "go to" company for HVAC or plumbing problems. Adam did a terrific job getting my leaky back flow device service, repaired and certified all before the start of business. said he was going to be there at 6:00 am and was there several minutes before! I can always rely on Armbrust showing up on time and getting the job done right!! Thanks again to Adam and all of the folks at Armbrust!! We have had Dave install air conditioners for us in the past, and we were so happy to know that he was the installer coming back to install our furnaces. He is extremely knowledgeable and articulate in explaining the process. My husband and I are quite impressed with his ability and professional/friendliness. Thanks Armbrust! Always our first choice! Armbrust Plumbing has been owned and operated by a member off the Armbrust family since 1918. Now in its 5th generation of family ownership/operation, you can rest assure that when we say we’ll be there to stand behind our work, we mean it. Simply put, we wouldn’t have been able to operate in the same neighborhood for a century if we didn’t keep our word. 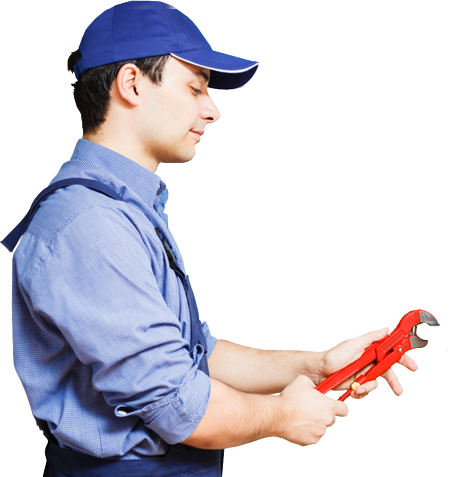 You’ll get the professional plumbing experience you deserve when you work with Armbrust. Our calls are answered by Rhonda, not by a voice mail system. If we say we’ll get back to you with an answer, we’ll actually get back to you. We operate out of an efficient commercial building complete with inventory so that we can provide you with greater value. We maintain standard business hours; you can come visit us anytime. We have a saying, if Google can’t find someone’s shop before the sale, you won’t be able to find them after. That’s an important thing to consider when deciding who you should place your trust in. The plumbing and mechanical industry is a rapidly changing place. Only companies that are dedicated to training and on-going skills development can hope to offer their clients the best products and installation techniques available. Armbrust has a dedicated training area equipped with the necessary technology, working models and displays to keep our technicians on the cutting edge. You can rest assured that when Armbrust Plumbing and Heating Solutions installs something for you, it was done right; the first time. Need an estimate? Give us call for a no pressure consultation with one of our Wheaton plumbers. We will listen to your needs and provide you with all of your options so that you can pick the solution that best matches your individual circumstances. Our consultants will never try to pressure you into sale during the consultation. Clarence Armbrust figured it out all those years ago. A business should be part of the community, just like any other neighbor next door. You can go to a trusted neighbor for advice, a helping a hand, or just to listen. Clarence, Arthur, Dave, Rich and Patrick Armbrust have been that trusted neighbor for going on a century as your Carol Stream plumber. Read our reviews, give us a call and let us help you with your next project.